Skulls are the important signifiers of nothing last forever and we should live in the present. This turquoise skull wrist mala is one of the fabulous malas among the collection. 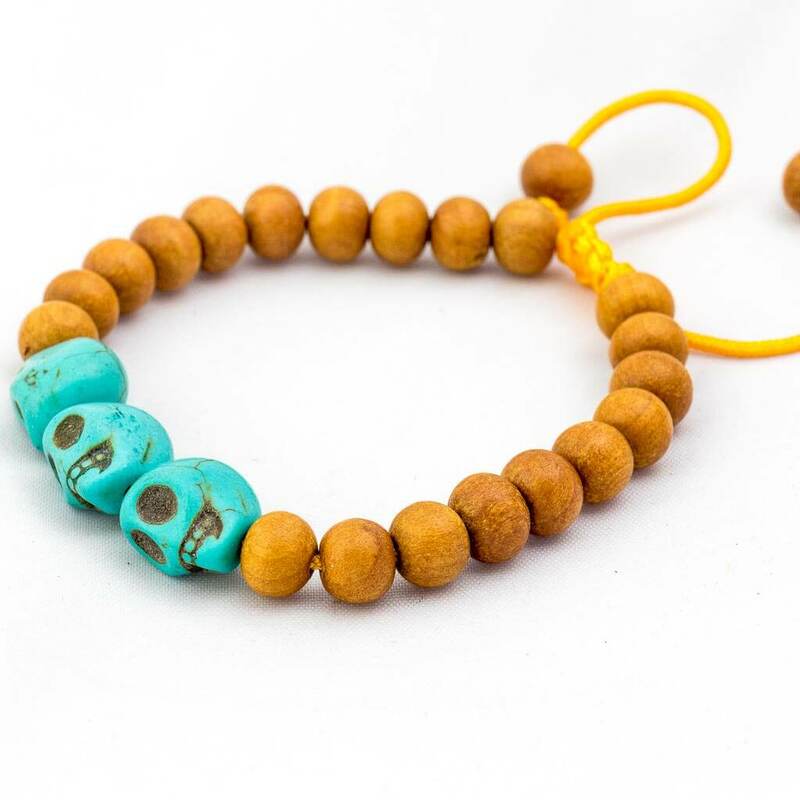 The turquoise coloured skull centered in the wooden circle makes the mala lively and is an eye catcher. 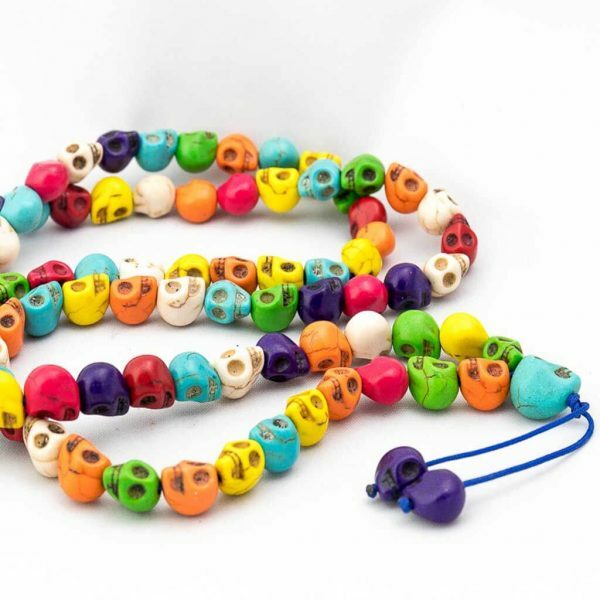 These Hand carved Skull beads resemble the necklace of skulls Goddess Kali wears. 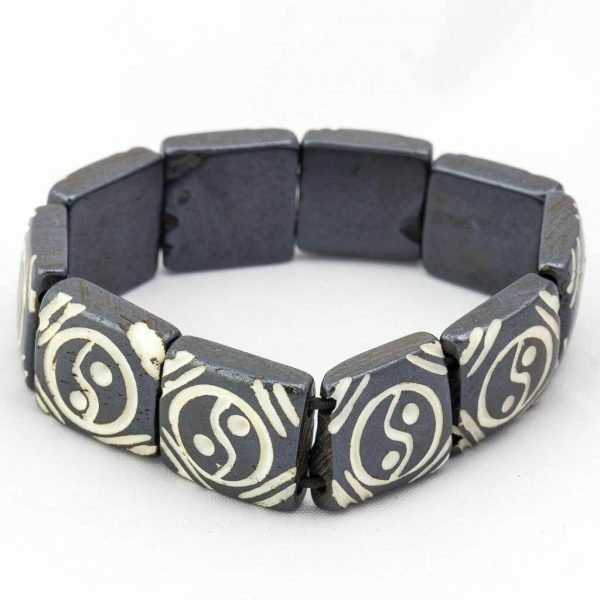 These signifies the strength and symbolizes wisdom, knowledge and liberation. 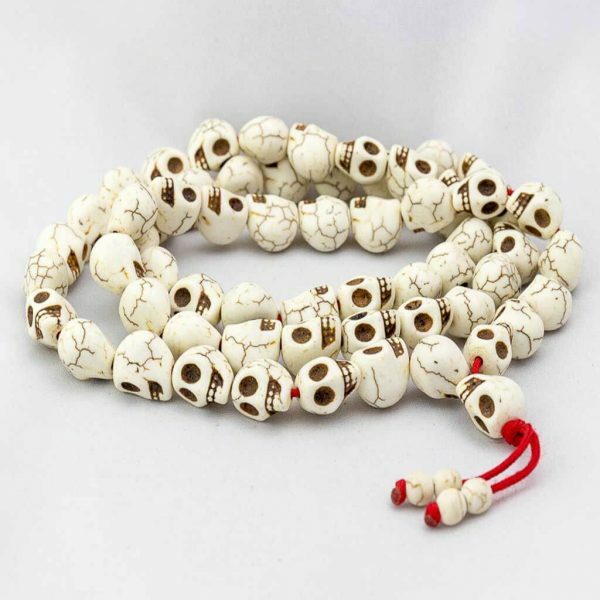 It has 13 white skulls that are hand carved. They are tightly fastened together in a red color string. It is also adjustable that makes it flexible to be used by anyone regardless wrist size. 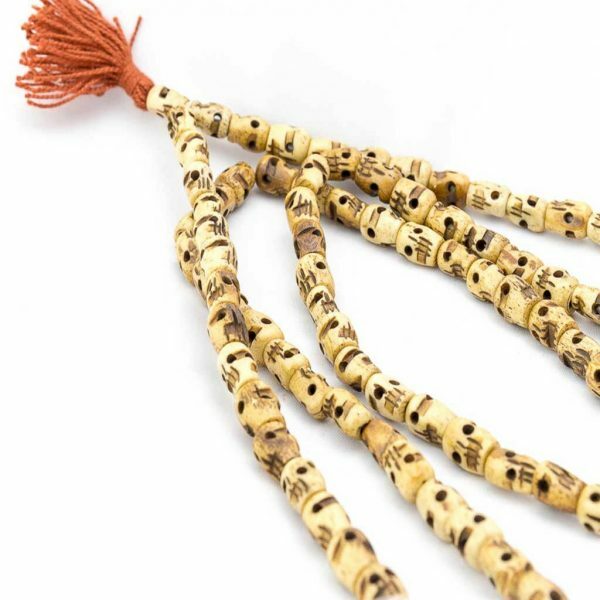 These are used to remind ourselves the impermanent nature of all the things. 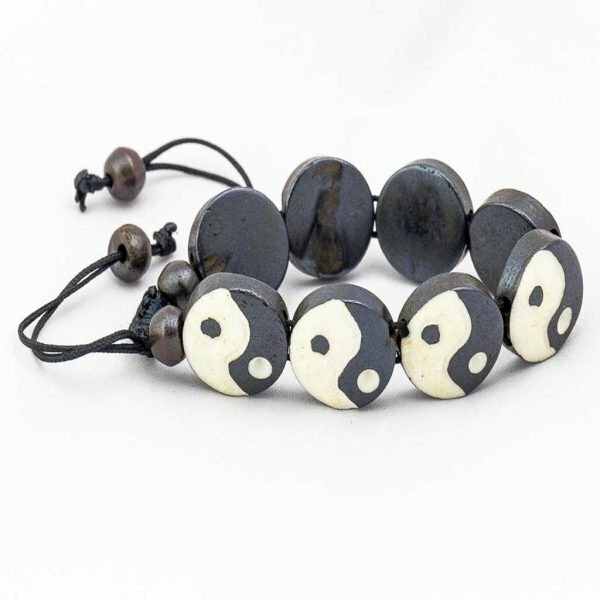 This is a long wrist mala that fits in your wrist in double folds. You can also use it in your neck as a necklace if you wish to. It is a perfect accessory for you that you can use with any of your outfit. The mantra “OM” is carved that represents the beginning of all creation. The vibration of the sound om symbolizes the manifestation of god. 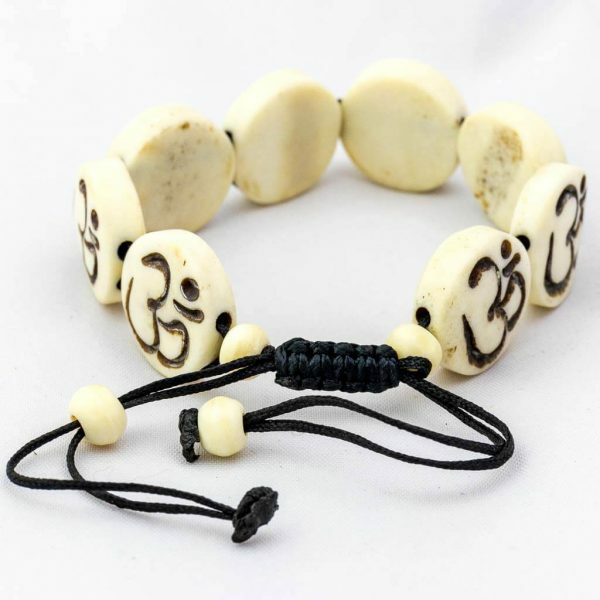 The mantra OM is the most sacred symbol in all of Hinduism and Buddhism. This is also most preferable wrist mala as it is adjustable in any size of wrist. 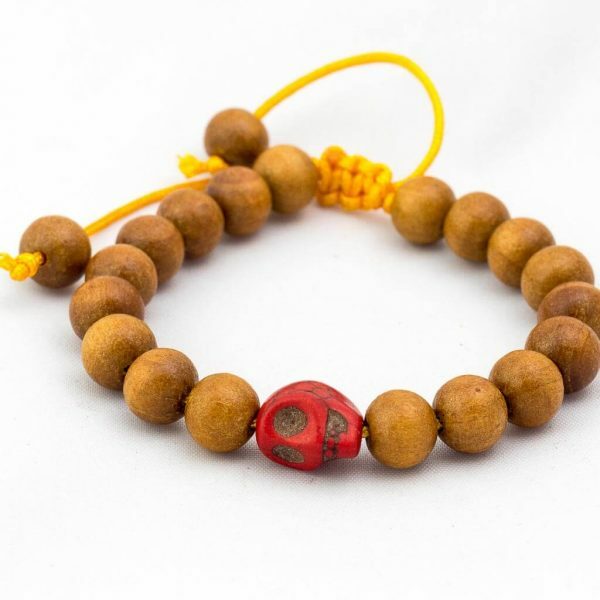 It is a wrist mala with spiritual and divine value. The symbol of yin yang is also known as Tai chi or Tai qi symbol. It has a circle that is equally divided into black and white sections by the reverse S-like shape. The black section has a small white circle and white section has a small black circle representing the philosophy that everything in universe are both constant and cyclical. This is the infinite cycle, one force dominates and then is replaced by the opposing force. 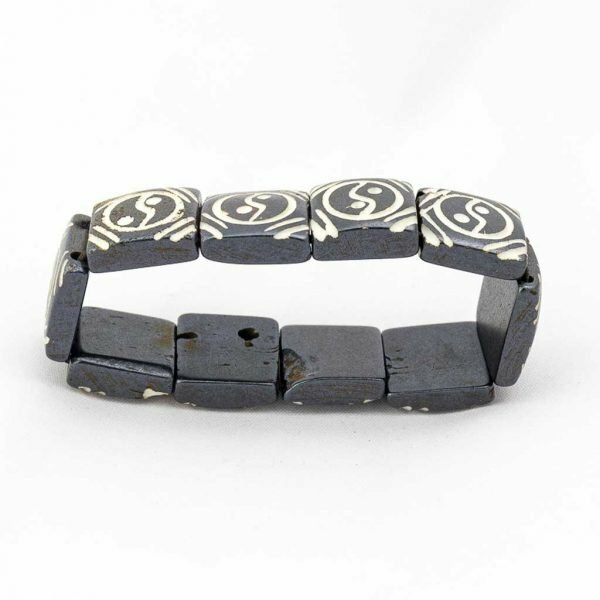 This is a great choice you can make for yourself as it is extraordinary as well as very symbolic among the collection. 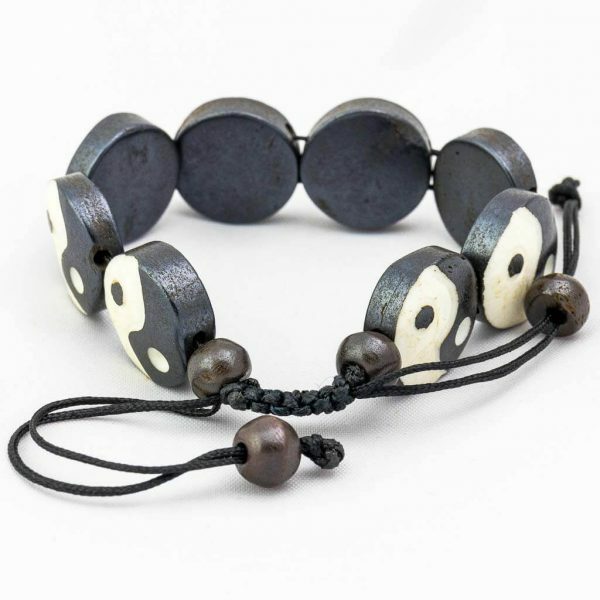 The yin yang meaning and symbol date back to ancient China that represents the belief that everything in the universe consists of two forces that are opposite but complementary. This is how the black over the white and white over black is used to reflect the concept. It is a elastic bracelet that is easy to wear and comfortable. Being the most preferred black and white colour it is quite popular. 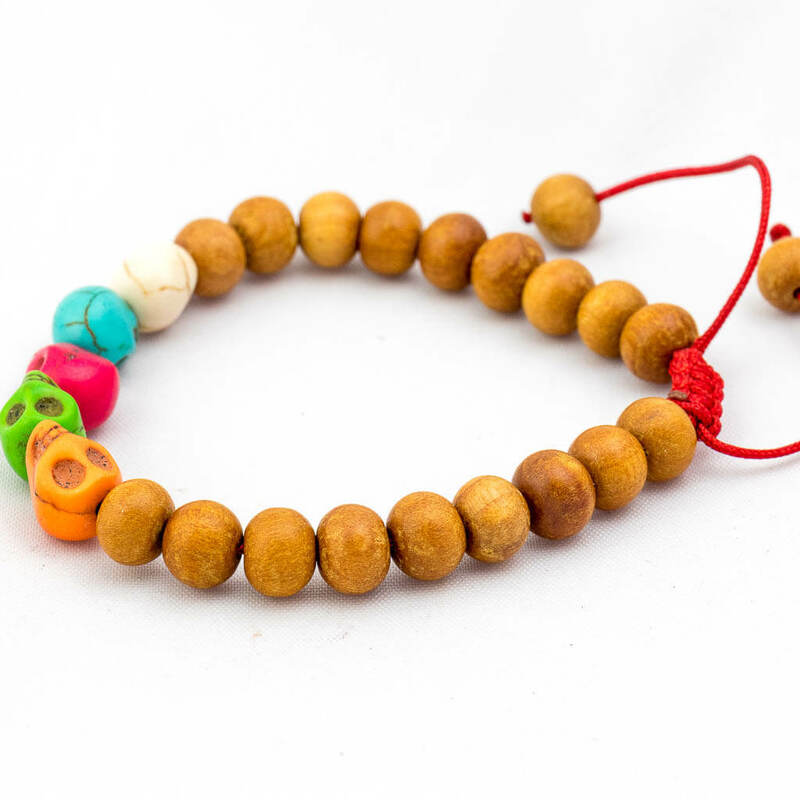 Made of wooden, this wrist mala is simple and elegant. It is lightweight and 100% natural. With its elegant look, it blends with almost any outfits. 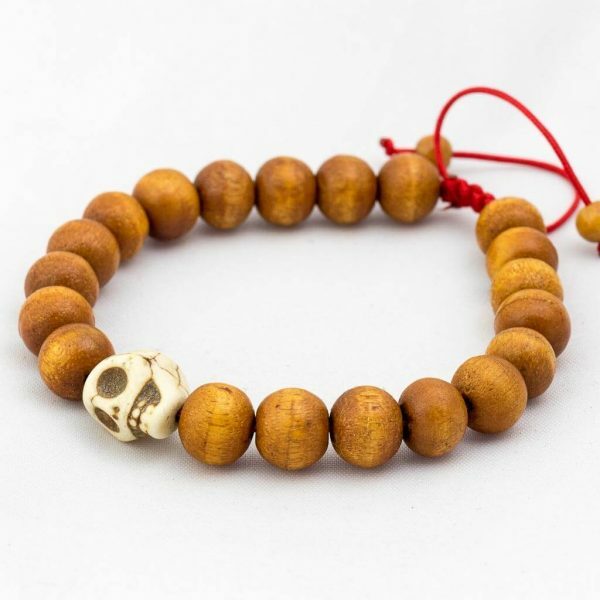 These wrist malas are made with wooden beads and a skull in the middle. 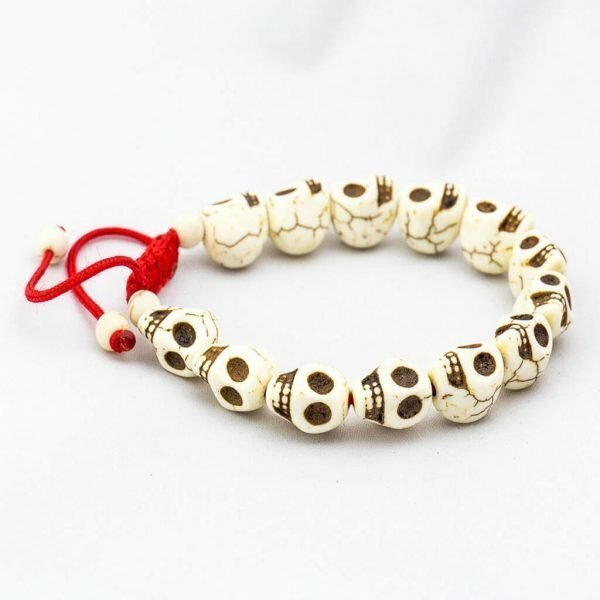 Skull is known as the symbol of impermanence in life. 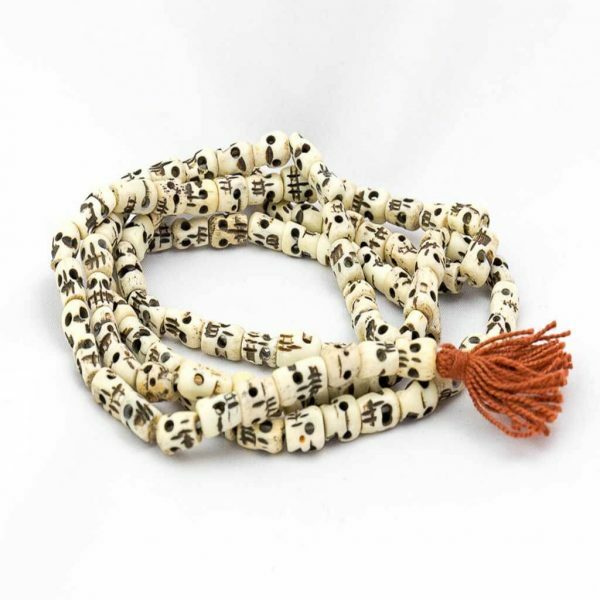 This mala is stylish yet has spiritual significance. Wear it as a reminder of the temporary nature of life. Skulls commonly stood for death in tibet but Buddhists integrated Tibetan skulls into malas to represent the brevity of life and the restrictions of human understanding. 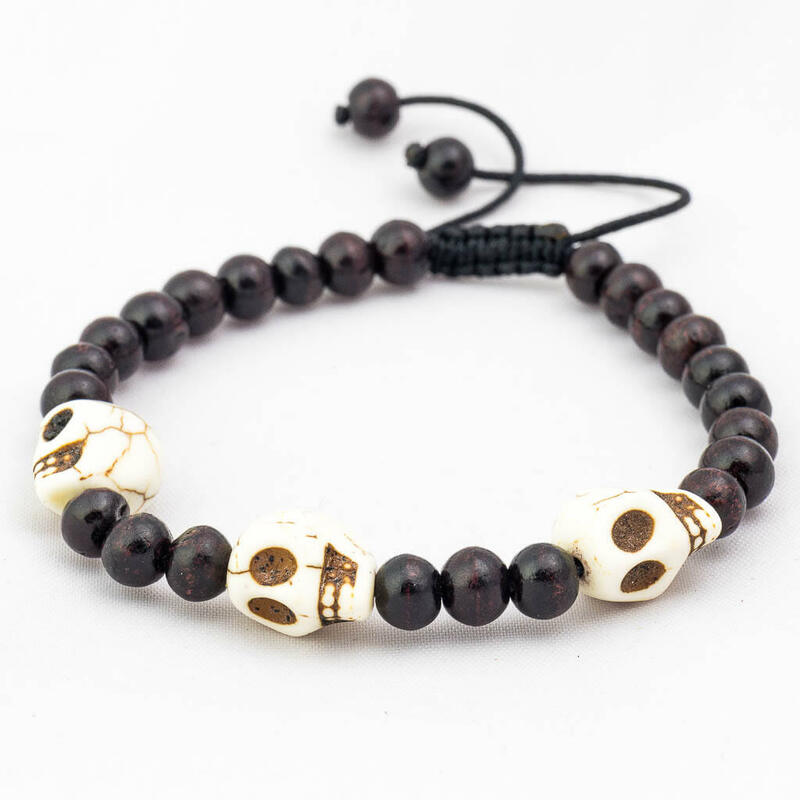 This is a beautiful wrist mala having 3 skulls combined with the glossy beads to make a perfect combination. 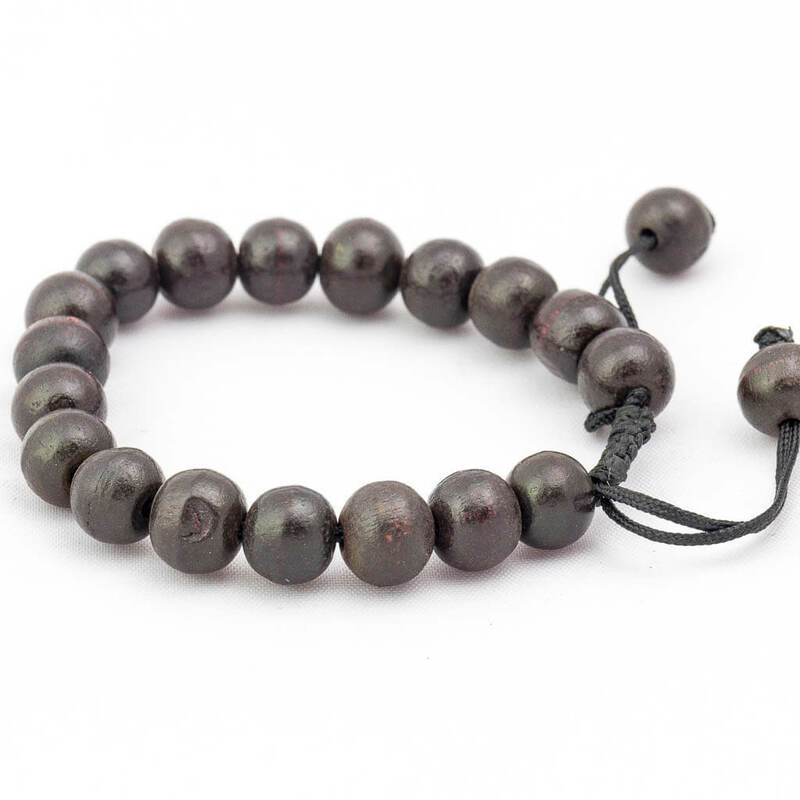 These are the adjustable malas having the black colour string. This is a wooden wrist mala that has been decorated by five different color skulls. The skull is believed to save from evil spirits. 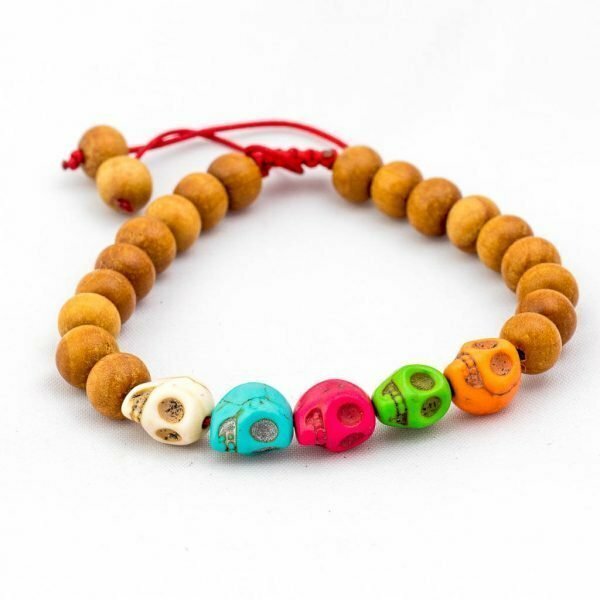 So, this wooden wrist mala with multi colour skulls can be worn by anyone. It goes up with any kind of outfit and can fit to anyone as it has adjustable strings. 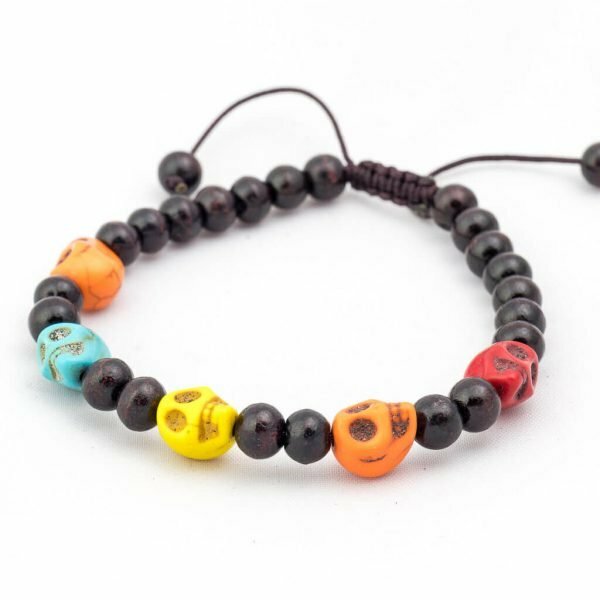 These are one of the most beautifully combined skull wrist malas from the collection. There are five skulls of four different colors placed in between the black beads. 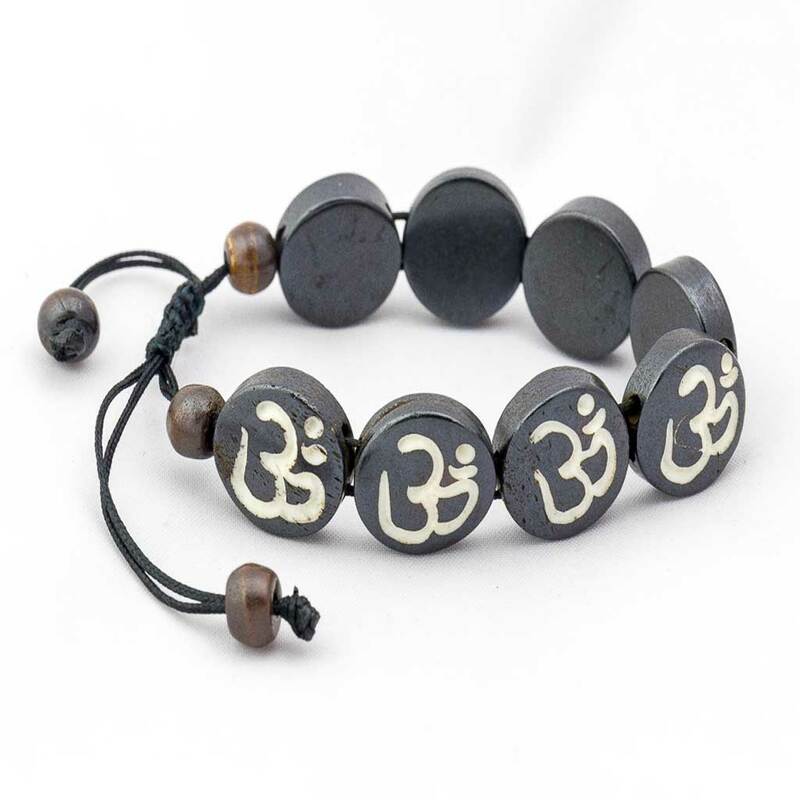 This mala is formed in the black coloured string and is adjustable according to the size of wrists.